I have only recently started getting into painting my nails myself. I have terrible hand eye coordination and it often looks like a five year old has had at it. I always used to go and get it done by someone else, however I have been trying my best to do it myself and it’s not going too badly. 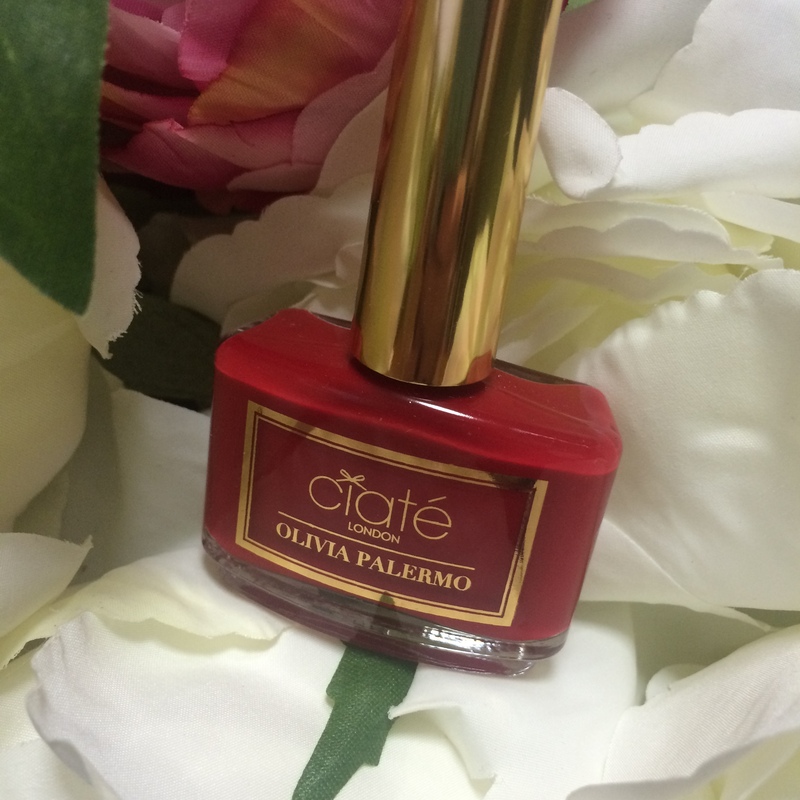 I have always heard good things about Ciate and the popular Olivia Palermo (Guest Creative Director) collaboration; so when I was in TKMAXX the other week and spotted a Ciate nail varnish at half price I couldn’t resist. I picked up the polish in ‘hutch’ – Palermo’s ‘go to red’. I am a sucker for good packaging and I love the bottle and box of this collection; it is very cute and classy with the signature bow incorporated. The brush, on a gold handle, is super easy to use for application and gets just the right amount of product onto the nails. The formula boasts a dual polymer mesh lock technology that makes the colour last longer. Hutch is a luxurious and heavily pigmented red colour which I love! I have been using this for around three days now and it has shown little sign of chipping any time soon. I have to admit that I wouldn’t fork out the £17 RRP for this polish however at about £6.99 it is well worth the purchase. Previous Post Spruce up your space this January.